SCOTT WHITTLE AND TOM STEPHENSON, CO-WRITERS OF “THE WARBLER GUIDE” will lead warbler hikes, warbler workshops (photographing warblers + Warbler ID), and will give the Saturday night keynote address… about warblers. It will be a weekend in the Catskills you won’t want to miss. 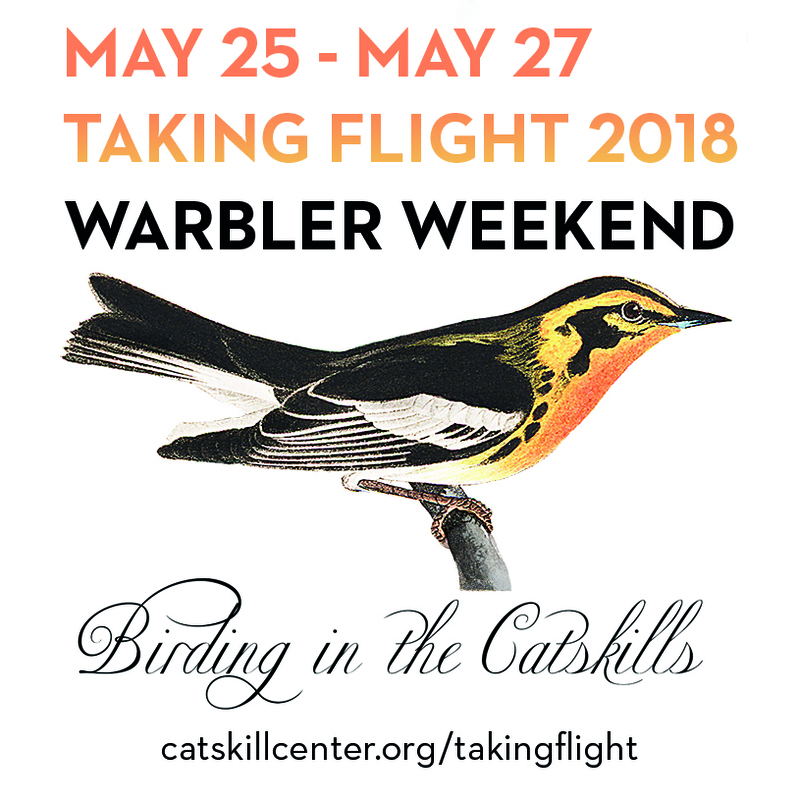 Visit the TAKING FLIGHT 2018 (http://catskillcenter.org/takingflight)website for more information on the schedule of events and how to register.